An ariel view of Samuel Fels High School. A Northeast Philadelphia high school was placed on lockdown Monday morning after a student was found to have a firearm. 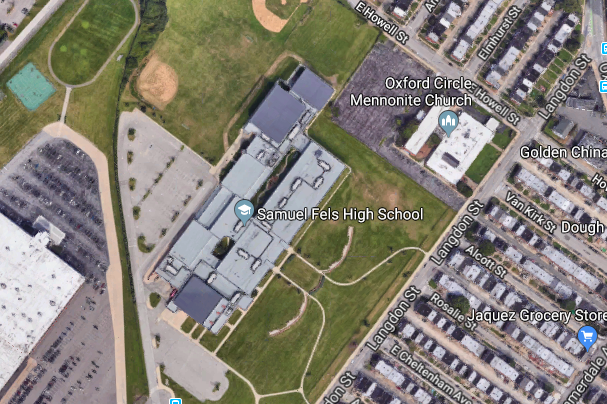 Police said the lockdown occurred around 7:30 a.m at Samuel Fels High School at 5500 Langdon St. in the Lawncrest neighborhood. The student with the gun was taken into custody without incident. There were no injuries and the weapon has been recovered, police say. Police have not identified the student or said what type of gun the student had. The incident comes less than two weeks after 17 people were killed at Marjory Stoneman Douglas High School in Parkland, Florida, when former student Nikolas Cruz, 19, entered the building with an assault rifle and allegedly began shooting.